That's true Cutlass with Vanish and Sap works well. I agree, classic cars shouldn't be nerfed. You can combine the 20 levels with all heroes.F.e. Rogue lvl. 8, Druid lvl.5 and Mage lvl. 7. You don't need to reach lvl. 20 with one class only. Choose your champion is back for HCT Winter. Are the Germans any good?Well, I love german food, so I'mma choose this Viper guy. 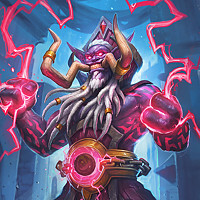 They should release fewer cards at the beginning of a new expansion, like 105 and hold back the other 30 cards (mostly neutral cards) to release them mid expac to spice the meta up and prevent the meta from getting stale too fast. Please no more secrets, I'm so sick of fighting secrets. It's enough. I'm looking forward to the day when I can build a deck of 30 Herocards. Happy Prince Malchezaar Day, I guess!